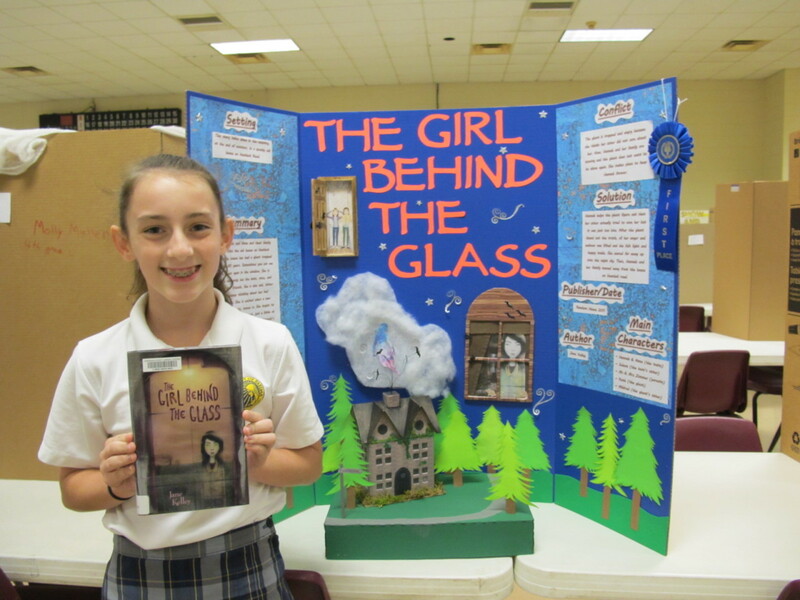 Olivia Myers not only captured the attention of the OLF Reading Fair judges, she also caught the attention of the actual author, Jane Kelly, of The Girl Behind the Glass. 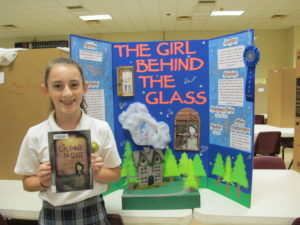 Olivia Myers won 1st prize in the 5th grade division for her story board display of The Girl Behind the Glass by Jane Kelly. Ms. Kelly commented on Oliva’s work on her blog stating that she was proud that the book inspired Olivia. Olivia and the other division winners from OLF will now head to St. Patrick’s High School for the Diocesan Reading Fair to be held on December 1st.